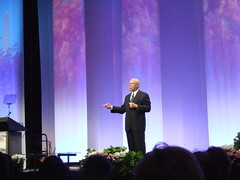 Colin Powell: Rules To Live By – Quite a Quote! 1) It ain’t as bad as you think. It will look better in the morning. 2) Get mad, then get over it. 3) Avoid having your ego so close to your position that when your position falls your ego goes with it. 4) It can be done! 5) Be careful what you choose. You may get it. 6) Don’t let adverse facts stay in the way of a good decision. 9) You can’t make someone else’s choices. You shouldn’t let someone else make yours. 10) Remain calm. Be kind. 11) Have a vision. Be demanding. 12) Don’t take counsel of your fears or naysayers. 13) Perpetual optimism is a force multiplier.